Looking for private in-home or in-studio Songwriting lessons? Our Boulder Creek teachers are ready to get you started. Find your teacher today! Check out some of our most popular teachers near Boulder Creek, CA including Santa Cruz, Los Gatos, Tracy, Scotts Valley and Ben Lomond. I have been a professional songwriter for over 10 years and have major credits and clients in film, TV and radio under my belt. I would love to help you craft your songs from start to finish, including basics such as choosing a style, tempo, instrumentation and more to other aspects of songwriting including lyric writing, rhyme schemes and additional elements of songwriting. I can't wait to work with you on your next song! Jessica is known worldwide for her music which incorporates her original comedy, artwork and videos. She spent a decade touring the US and the UK and has performed in many festivals including the Reading & Leeds Festival, Latitude Festival, Montreal Comedy Festival, Edinburgh Fringe Festival, Dublin Comedy Festival, End of the Road Festival, NY Funny Songs Festival, NY International Children’s Film Festival and more. tial scholarship to the Art Institute of Philadelphia, and relocated to NYC shortly after graduating. Her unique music, performances, art and internet videos have won many awards and critical acclaim. She has performed her music and written segments and songs for television (including ABC’s “Good Morning America”, MTV’s “I Bet You Will”, Fox News “Red Eye with Greg Gutfeld”, IFC's "Comedy Music Hall of Fame", HGTV's Flea Market Flip, TBS’s “Saving Grace” website and “The Tyra Banks Show”), radio (including "The Dr. Demento Show", "The Jackie Martling Show", WFMU's "Spreading Yourself Thin with Jessica D" and “The Opie and Anthony Radio Show” on SiriusXM, BBC’s “Loose Ends Radio Programme” and BBC’s “The Simone Show” in the UK), feature films (including “What Would Jesus Buy?” directed by Morgan Spurlock), commercially for major clients and also on stages across the US and the UK (including London’s prestigious Soho Theatre, NYC’s Irving Plaza, Joe’s Pub and The Bowery Ballroom as John Waters’ opening act, and LA’s Troubadour). Jessica brings a lot of fun to her lessons. She is like a cool aunt or a big sister who likes to have a good time but who also wants to teach you to play guitar or ukulele and sing, hopefully at the same time. Jessica's laid back style and attention to your needs as a student will help you reach your goals, whatever they may be. Together, you will go as fast or as slow as is comfortable for you. Jessica works with classic rock, pop, folk and all your favorite songs as your step ladder for learning. Jessica also can help you develop your own musical style and teach you to write YOUR OWN SONGS from beginning to end, if that is of interest to you. Classic stringed instruments such as acoustic / electric guitar and ukulele, and several unusual instruments such as singing saw and electronic and standard autoharp, singing, songwriting and guidance on how to monetize your band, including acquiring sponsorships and arranging local and international tours. Student(s) and teacher sit together and start with the basics, then move on to learn others' songs (The Beatles or other classics are a good place to start) and then may even try to compose original songs, if that is of interest. Really enjoyed my first lesson. I got a lot of applicable tips for my future processing. Jessica is very talented. Hoping my next set of lessons so be just as promising! Jessica is a virtuoso on the ukulele. She has the patience of a saint with less than adept students. Yet she is insistent, in a gentle way, about instilling correct form in her students' approach to the uke. In addition, she is a walking encyclopedia of songs that span the range from traditional to standards to current day favorites, and from country to r&B to rock and roll. I am so fortunate to have found Jessica to teach the Ukulele. She is sweet, kind and truly a pleasure. very unassuming yet so focused on my particular needs when I lose my way. I strongly recommend her. I am so fortunate. Wait, did I say that already? Thank you Jessica. How do chords work? how do you move from one to the other effortlessly? How do you solo over various chord changes? What scales can be used where? And how do we Correctly name chords? Guitar: Almost all styles: electric and acoustic; Jazz, Rock, Blues, Fingerstyle, Folk, Bluegrass, Lap Steel and Slide too! Songwriting: I know, no one can actually teach songwriting; but i can help you with yours-song form, rhyming, harmony and more. Studio Production and Techniques: Understanding your DAW, FX Plugins, mixing, mastering and more. 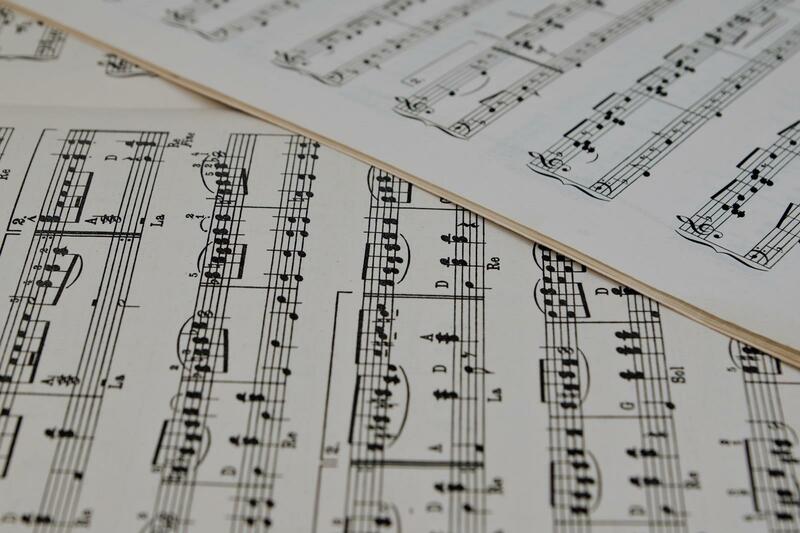 Learn about rhythm, melody, harmony, and dynamics and how they affect your songwriting. Break down songs that you like to learn about the elements that make you like them and make them compelling to others. I've been writing songs for over 20 years. I’ve studied with Jai Josefs and taking many songwriting courses. One of my songs one best new song from The West Coast Songwriters Association. I’ve also been playing guitar for 40 years, teaching for over 15 years. I understand music theory and how to incorporate it into songwriting. I love working with students of all ages and experience levels. I can't wait to meet you! Want to learn to write songs? I can help! Got songs that need editing? I can help! Got a set of lyrics that need accompaniment? I can help. Want to learn about song structures? I can help. I have released 5 indie CDs, and my songs are played on numerous stations, large and small, including Dr. Demento and Sirius XM's Laugh USA. I've taught songwriting seminars, and have taught individual lessons on songwriting. I've won songwriting. I can help get you from "here" to "there." After more than 25 years of teaching at music camps, music stores, 3 colleges and my home, I completely understand that the lessons are all about YOU, the student: what you want to learn, taught to you in a way that works for your brain and personality. And if you don't know exactly what you want to learn, that's OK. We can figure that out together as we go along learning the basics. I help students learn to play songs by artists they like. I also help students write songs, or put chords to their existing lyrics. For those who are interested, I teach note-reading (not required) and theory (not required) and ear training (not required). The lessons are always tailored towards your (the student's) goals. My purpose as a teacher: help people have a fun experience, learning in an organized way, adapted to your learning style and goals, while learning to do exactly what you wanted to do when you decided you wanted to play the guitar. In 1994, I was let go from my job at a music store because I was sick. Which sounds awful, but was the best thing to ever happen to me- it was then I got over my fears and became a full-time musician, teaching and writing and performing. I have never looked back! I may not be a household name, but I am living the dream. Whether you want to sing to your kids or play for an audience of 50,000, or just play guitar for yourself, you first have to get started. Wait no longer! The guitar is calling! First lesson went well, played some blues, received some lessons to practice. Carla is a competent teacher and I am looking forward to future lessons. First Guitar Instructor ever & deservedly gets 5 Stars!!! Carla is a fantastic teacher! She keeps the lesson lively and interesting, pushes you along but not too much. In just the handful of lessons I have had so far my level has jumped further than expected. Carla has been very helpful with the "tricky-bits" that have caused me issues. Helped to remedy them and move on. Look no further for a great teacher, better yet I'll keep her to myself. As a professional composer/songwriter, I have written songs in a variety of styles, across multiple genres, alone and with others, and enjoyed over one hundred (100) cuts including single and music video releases on recording projects with a very wide range of emerging and established artists and bands. To date, as a writer and/or publisher, I have scored thirty-one (31) syncs on national television. I like to call it music theory in reverse. Having a strong foundation in the fundamentals of music and music theory makes the songwriting process much easier. About my music teaching backgroud: I've taught piano since I was in high school, and continued to teach while I was a student at Cornell University. I also taught theory classes in the Cornell Piano Society, where I served as President for 4 years. Why? I simply love music, and sharing it with others. From songwriting basics to how to find sustained inspiration for songwriters, I make the songwriting process fun as well as share important building blocks on how to create inspiring songs. My philosophy? Everyone has a song, so let's dive into the basics of songwriting and bring that song to life already! I have played piano since I was twelve years old and have not stopped since! I enjoy all types of music from jazz to showtunes, classical to honky tonk. I always try and make the learning process fun, and always get results! Noah was very patient and made both of my granddaughters feel comfortable. They really liked Noah and expressed their enjoyment of the sessions. I stayed out of sight in order not to distract but close enough to hear interaction with lessons. He works really well with children and is very encouraging throughout the session. Brooklyn-based private music teacher operating in Brooklyn and Manhattan. Over a decade of experience teaching a broad range of styles to students of all ages and backgrounds. Strong focus on the individual student's personal interests and goals. Master's degree in music composition with years of experience touring globally and recording for both major and indie labels. Whether you're new to songwriting or need some help honing your skills, it's my passion to get people writing the kinds of songs they want to hear! A recent transplant to the Park Slope area, I'm a composer and multi-instrumentalist originally from Raleigh, North Carolina. Prior to receiving my master's degree in composition from Mannes (The New School), I was the lead guitarist in the indie rock band Annuals. As part of this group I signed with two major record labels, appeared on national television programs such as Late Night with Conan O'Brien, and performed globally both on tour and at prominent festivals such as Bonnaroo, Coachella, Glastonbury (England), and Roskilde (Denmark). , tailoring lesson plans to suit their personal goals and interests. I have experience playing and teaching an extensive range of styles including pop, rock, jazz, country, metal, and classical. One of my main goals is to foster a sense of musical understanding with every student so that they may learn to combine technical, theoretical, and aural skills into a unified whole. Most students want to learn to play songs they know and love. To that end, I get students playing the music they want to play right from the beginning, often through personally crafted arrangements of songs/pieces of the student's choosing, specifically tailored to their current skill level. This way, technical and theoretical skills are learned through direct experience with actual music, and only very rarely through rote exercise. For more advanced players, I offer an array of strategies designed to take your playing to the next level. I find that the most common shortcomings of advanced players are conceptual. The technical skills are there but the level of conceptual and theoretical understanding has hit a wall. Many players find themselves playing the same chord shapes, melodic patterns, and harmonic progressions over and over again. I've had much success over the years in getting advanced students out of this rut and helping open up new pathways for exploration in both improvisation and composition. and learn. a real professional that understands music theory. Makes learning the guitar enjoyable and not a burden. You'll be playing music in no time.If you would really like to learn or advance your playing the this is the teacher. Very understanding and positive. He brings the most out of a student. very encouraging . Can't wait till my next lesson. I would recommend him to any level student. I've been playing off and on for 15 years and am mostly self taught. I knew what I wanted to learn but was having trouble figuring it out on my own. In the first lesson Ken was able to zero in on what I want to learn and the best way to go about it. In three lessons I feel that I understand the guitar so much more than I have in the past 15 years of playing. Not only from a technical standpoint, but also in a "feel" sense. On my own I could learn all the scales, chords, and songs I wanted, but Ken has helped me to make sense of everything and use these skills to become a better player all around. Can't find a teacher in Boulder Creek, CA?